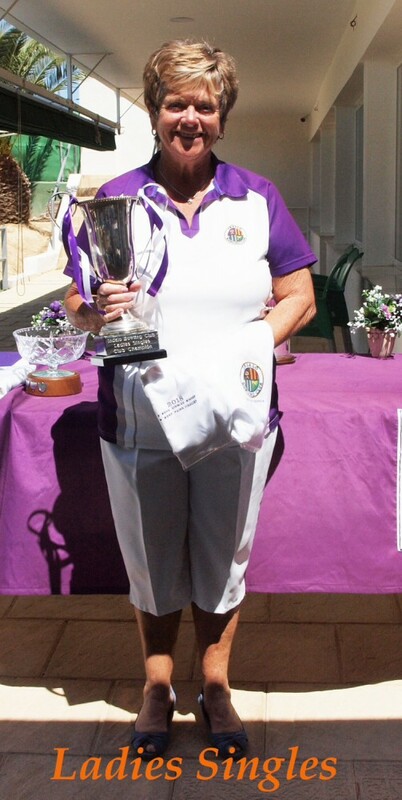 Our Club prides itself in catering for a whole range of bowlers including those who enjoy bowling in a social environment and those involved in competitions at the highest level. There is a team of coaches to help the new bowlers, as well as developing the skills of those with more experience. Because the members own the club, a committee of fourteen is elected each year from among the members. The club is well served by many willing volunteers who must take the credit for the success that Indalo enjoys. 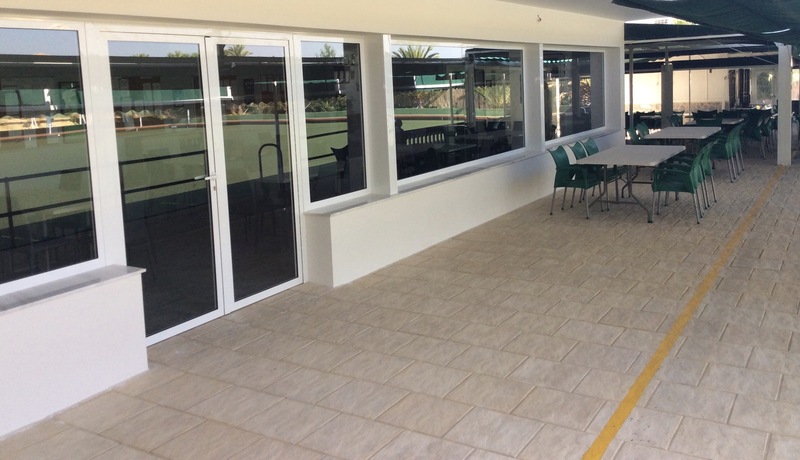 Following the very successful opening of our new clubhouse and the installation of the new carpet, we at Indalo, believe we have the best lawn bowls club in Spain. Green fees for non-members: 5 Euros per session. 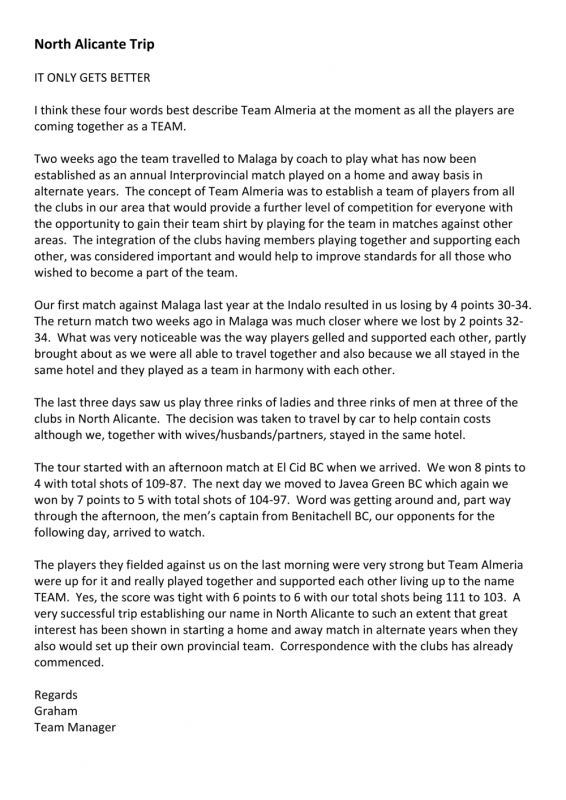 We are the only Club in the area owned by the members and therefore a Membership Bond of 21 Euros is payable when joining but is refunded when membership ceases. Please click here to contact the Membership Secretary for more information. Take a drink on the terrace, watch or play. Contact our captain to find out more about coming to play and a free introductory coaching session. 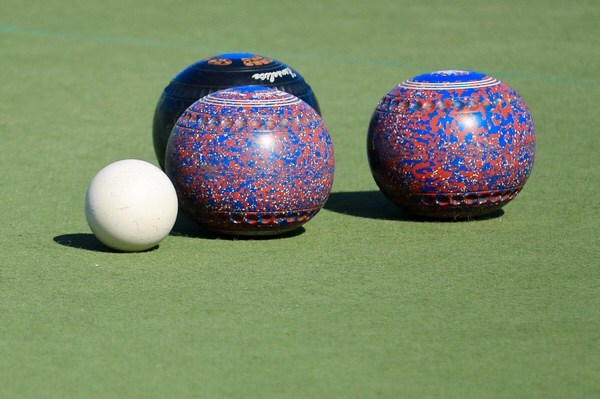 We are delighted to welcome visitors from other Bowls Clubs or other Bowls Teams from anywhere in the world. We have 8 rinks and a very reasonably priced bar available and catering for visiting clubs can be arranged if required. Please click here to contact our Captain for further information. Notices will be posted here when necessary.